All of the other questions about Rheumatoid Disease (RD) hang on this. After we truly know what it is, we can diagnosis it early, treat it successfully, and cure it! Remember the ancient elephant story? Just like the blind men describing the elephant, numerous aspects of RD have been described, but a comprehensive picture has not been recognized. The wrong answer: Rheumatoid Arthritis (RA) is a type of arthritis that mainly affects the hands. The synovial membrane becomes inflamed, eventually causing bone erosion. Later, RA can affect other joints or cause disability in some cases. Rarely, the disease affects a person’s health in other ways. The problem: Most people, including most doctors, still believe that. Even new young doctors are still being taught to measure the disease by glancing at the top of the hands. It’s hard to believe we are still diagnosing a systemic disease that can begin anywhere in the body by a doctor’s subjective opinion of conspicuous swelling on the back of the hands (synovitis). In 2006, A.K. Brown showed that 96% of RA patients judged by rheumatologists to be in remission actually have active disease. Yet this summer at EULAR, it was still news when a doctor reported his results that “raging inflammation” exists when doctors don’t see “clinical symptoms” (conspicuous swelling). We don’t know exactly how Rheumatoid Disease works yet, but scientists have learned that only 32% of “the joint destruction level in RA is explained by the currently known risk factors.” It’s not all synovitis. It’s not all conspicuous swelling. It’s not all Rheumatoid factor or CRP. So, what is it? So what IS Rheumatoid Disease? I hope my upcoming book will make a big impact on this question. 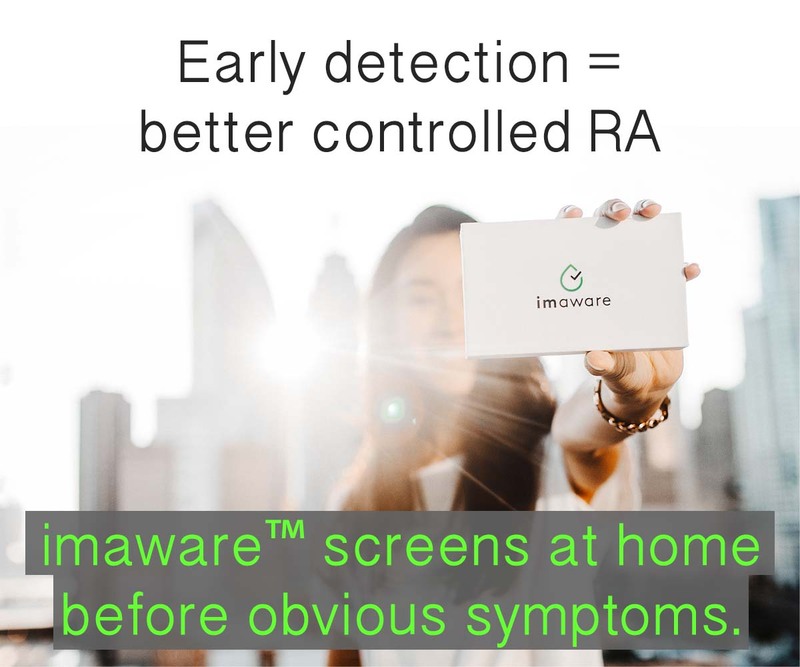 Meanwhile, check out the new RAW “facts and information on Rheumatoid Arthritis” section with 10 key points on RD, a list of common myths, key medication facts, and more. A special section for healthcare professionals is coming soon. We know that it IS a painful complicated disease. And that joint inflammation (arthritis) is one symptom. We know that a disruptive immune response causes systemic inflammation that can attack any part of the body. And that it is extremely heterogeneous; likely my friend Bob is correct that there are sub-types of RD. With all the treatment my neck has had from other doctors, I’ve never had my neck examined in any way by a rheumatologist. Of course I’ve asked about it every time. 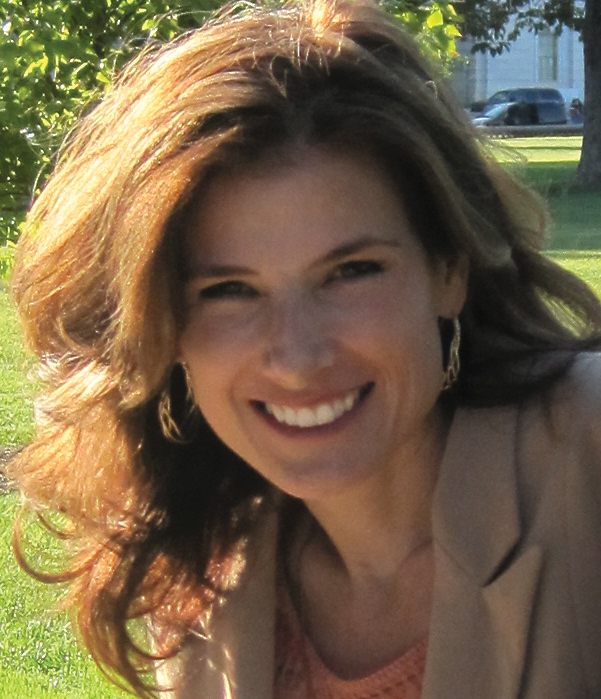 Last month my friend Carla asked me about it and she was surprised, saying, “I hoped something would change by now.” Carla’s book describes her mother’s Death by Rheumatoid Arthritis due to its effect on her spine, unrecognized by her doctors. “You can’t use a nuclear bone scan in RA. It doesn’t ever work because that’s not what it’s for.” Strangely, those words Dr. Smart told her manager to tell me still haunt me – even though a competent radiologist finally read my bone scan. Could bone scans (scintigraphy) not be real? How could the rheumatologist not know? And THEN reading the new EULAR imaging guidelines, I noticed a section called “Scintigraphy”! It seems scintigraphy is as real as the noises in my neck! There’s a long list of symptoms other than synovial swelling. Tendons or other “soft tissues” are affected by the disease (see other tendon study here). Understand the true prevalence of tenosynovitis that is proposed to be the first manifestation of RA. A surprising neglected joint (sternoclavicular) where patients have painful symptoms. 10 denied joints that are commonly affected (DIP). Guidelines for disease care should include extra-articular disease. Doctors should not rely on blood tests to diagnose or judge Rheumatoid disease activity since that has never been correct and there have always been a large percentage of patients with “normal” blood tests. Research should follow clues from people who live with the disease. It’s sad when doctors don’t understand how bad RA hurts – even in kids. A failure to have a comprehensive grasp of RD harms patients. I can’t thank you enough for your research and sharing with us. Just when I’m thinking maybe I’m crazy and wondering what I really have, you post exactly what I’ve just experienced. It helps to be validated. It is very sad to battle, everyday, to manage your disease and have to learn how to manage your doctors, too. My husband and I have just moved from the U.S. to Germany. I am curious how different (will it be better) my treatment will be here. I had Rituxian infusions right before we moved, after going to a Rheumy who looked at my hands and told me I didn’t have RA hands so I can’t have RA. Then going to an Ortho and he said my x-rays clearly showed RA. Why can Ortho’s diagnose better than Rheumy’s? (I’ve had RA for 7 yrs). I knew to go back to the Rheumy who had treated me (tried new Rheumy because the other doc’s office was difficult to work with) and not mention going to the other Rheumy so I could be treated during my flare. Congratulations, Kelly. You are systematically changing the understanding of rheumatoid disease and in the process, helping to improve the lives of millions of those of us who suffer from severe and disabling symptoms. May God keep you in His care so you can continue to shed light on this disabling, horrific disease. I will be forever grateful for your work. The level of scholarship you achieve in all you do is simply outstanding !! BRAVO Kelly! Once again you knock down all those crazy ideas and replace them with the actuality of living with RD! Thank you so much for all your hard work to bring these truths to light…now if we can just require your articles as required reading in medical school…I know, wishful thinking…haha! Great minds think alike.. That is actually who my book is meant for – medical students & doctors. I hope patients will read it anyway – knowledge could save our lives. The next book will be more about living with the disease. Se qué no tiene cura pero mi doc tampoco me dio algo dijo toma panadol para el dolor . I KNOW that’s not true. My RA started in my right knee and then my hands got involved. Before I was diagnosed, I was literally became one ball of pain. I know that if I walk too long, I hurt all over, not just in my hands and feet. It’s discouraging that I’m not even sure I can trust my medical professionals to take care of me when they don’t seem to know how much the rest of the body can be involved in RA, not just the hands and feet. thanks for sharing Judy. There is a wide variety of “knowledge” about RD out there in healthcare professionals. About your neck: what I recommend is that you find someone else to monitor the progression of the disease in your neck & treat your symptoms too. The neck is one of the most affected places & damage there is extremely common. I am very worried about my neck because it’s been discovered recently that I have some RA involvement in my spine. My mother has cervical stenosis,and I’m convinced that she’s been living for years with untreated RA. I suspect that her stenosis was caused by the RA. Because her blood test have been normal for RA for years (even though she’s had plenty of symptoms that suggest she has RA)they won’t consider it a cause. I personally don’t want that to happen to me and am actively doing what I can to prevent it. Seeking the right Doctor is critical in early diagnose. Early treatment is critical. My RA was diagnosed and was aggressively treated in early stage. You getting the word out there is important. People do not understand the disease unless they have it. Thank you for all the information you provide, I was one of the lucky one to get properly treated by a season rheumatologist, he was the chair person for the RA foundation. Thanks for sharing your positive story – It helps give others hope & keep trying to get good care. It sounds like your doc is great! 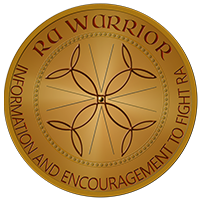 One thing – there is no RA foundation – that’s why we warriors created RPF http://rheum4us.org. Maybe he works with a general arthritis organization. My R/A started in my hands then moved every where Still my rheumy only looks at my hands every time i see him do not look at my feet which are very bad and painful All my toes are bent and my ankles swollen he do not look at them either also my neck i get jaw pain and facial pain told him about it . Said nothing to do with R/A i know it is . At this point i do not know what shoes to get have a so many cheap ones ane expencive ones . I go bare foot around the house . Please do not forget the throat in your list of areas of the body RA can and does attack. The throat involvement can be life-threatening, just like how serious the cervical spine involvement can be. Yes, there is a section on the larynx in the book. I’m completely baffled that in this day and age of science, research and education we have to prepare a list called ’10 facts every doctor needs.’ And that we have to define what RA is and even with using our bodies as examples, we’re still often not believed. When I first got sick I went to a new internist – closer to my home, good reputation, etc. He listened to my symptoms, then walked me to the lab and told me he would call with the results. I sat there shocked and realized he was finished with me in about 6 minutes. He never examined me, listened to my heart, made me say ahhhhh or anything. Three days later I got a call – from a gal on his staff, telling me I had Rheumatoid Arthritis and should see a rheumatologist. I get a chronic disease and the doc doesn’t even call me. They don’t get it. no Donna, they really don’t. I think my book WILL help the ones we can get to read it. Perhaps we should focus on the med schools with your book in addition to practicing physicians. Take it direct to the Dean/President of the med school and ask for inclusion as mandatory reading. Yes. That is the long term plan. May take years . I thank you for putting together this information. I want to cry as I read it because I was not the typical patient with obvious swelling so even though my RA factor was off the charts at 350 the rheumatologists still said that I did not have RA. Then my CRP finally got high enough that the doctor now says I have RA. My RA factor now is 580.2. I have been to the ER with abdominal pain. I have to wonder if it is RA related since no cause was found except my ovaries were enlarged. I have been to numerous rheumatologists in different states with chronic pain and fatigue, but because I did not have obvious swelling they dismissed. I have tender spots all over my body that hurt severely if any pressure is applied. My knees now make noise when I go up stairs they squish. I am mad at the doctors. I am mad at myself for not researching things further, but when you get a 2nd, 3rd, 4th, and 5th opinion you tend to believe them. They looked at the xrays and said no RA. Now I read that ultrasound tells more and that many people do not have the “standard” symptoms. Hi Alice! I too have the same issues as yourself. When touched in certain spots on my body, they hurt. My knees always snap and pop when i move or get stiff. Just recently, my family doctor informed me that the reason they do this, is because they are double jointed. I have to say, i wanted badly to laugh at him, then continued to bully him into agreeing to do an MRI on my lower spine. IHe was very hessitant because he didnt think an MRI would find anything if my Xrays couldnt find anything. I recall the very first symptom of RD, well when I really noticed my pain. I was 15 or 16 and my right knee swelled up soooo very badly for about 1.5 weeks that i was unable to put any pressure on it, or it would be excrutiatingly painful. There was no injury to my knee, it just came out of the blue. I too had many other issues growing up with pain, but was constantly informed by my father, that they were just growing pains. Now i know different. I was diagnosed 3 years ago with RD, with a very low RPF. Since then all normal results or negative results, so i have never been treated properly. Just with Dmards, antiinflamitory drugs that im allergic to. Reading Kellys blog, ive come to the conclusion that i have Costochondritis and Palodromic RD so far lol. I am absolutely amazed that my doctor as well as so many of your doctors do not understand what we with RD go through. My doctor got very angry with me on my last visit because I mentioned my leg feeling very tight (it was swollen)and my foot from mid foot to toes stay numb. Well, that’s not from the RA. Usually she doesn’t look at anything, occasionally she will look at the top of my hands. The pain in my chest and ribs – can’t be from the RA. The stabbing pain I have so often – can’t be from the RA. I just don’t understand why they won’t listen and try to learn something from their patients. She is adamant RD is ONLY in the hands, wrists and feet. Dear Nancy, I’ve met her twin. 😉 smh. It truly is stunning there are so many cut from this cloth. Hang in there. My Dr taught the proper way to do a musculoskeletal exam for RA one year at the ACR and it involves more than looking at the tops of your hands. I can do a better MSK exam than that. What about knees, elbows and neck? They’re pretty common. Thank goodness that the RA drugs are less selective than that doctor. I’ve got a symptom for Dr RAWarrior and the troops. Does anyone have a sore and tender scalp starting at the top of the neck and going over toward the ear mostly under the hairline? Cortisone cream and special shampoo don’t change it so I am wondering if it is the atlanto axial neck problem. Dr google hasn’t helped me with it. Hi Annette, I too am one with a neck pain issue. As you described, pain from the to of my kneck, an yet right at the base of my skull. The pain is persistently running straight to my left ear, sometimes to my right. The spots are also tender. I am assuming this started because when i was about 7 yrs old, my father dunked me under the water in our pool. When I can up, my kneck had severly stiffened to the point that i couldnt move. Being 7, it scared the bejeaous out of me, and so slowly i tried to turn my kneck. When I did, i heard the most god aweful crunching in my kneck. Ill never forget that. But maybe my issues today are not still caused by that, as im 33 yrs old. Maybe it is the RD or in my RD its the Palodromic RD. Sigh! I really hope the MRI IN February finds something…anything. Kelly, she actually ‘does’ have a twin. I am so very thankful for you and all your work. I cannot wait to read your book and will be sure to give one to my rheumy…. Thank you beyond words for all you do to help us understand, give us hope and encouragement and so much more. We love you and pray for you! Your book. Keep up the amazing work!! yes, you are the most informed expert on how RD has affected you! A complete, accurate picture of your disease can only be had by asking you.